Home and Interior Design shows are fantastic events for anyone looking into home improvement. However, if you’ve never been to one before, they can be a little daunting. After all, it's an entire industry crammed under one roof. 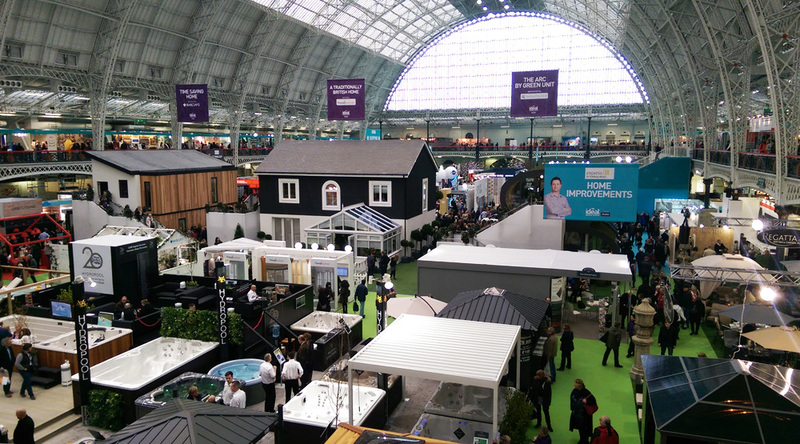 Whether you’re heading to the Ideal Home Show in London, or the Homebuilding & Renovating Show in Birmingham, here’s our essential guide to getting the most out of your visit. Most shows will have a brochure you can look through on the day, but it never hurts to do some research in advance. Check out the show’s website and get an idea of what companies will be making an appearance. A lot of different products will be on offer so it helps to have a few in mind to get you going. This helps you avoid the dreaded exhibition zombie brain, drifting mindlessly from salesperson to salesperson. As we just discussed, preparation is key. One of the best ways to do is to workout beforehand what you’re looking for. Are you looking for an architect? A builder? Are you simply there for design ideas? Having these things in your head from the start will help you realise what products are right for you when you find them. We’re not kidding, this is going to be a long day. You’re going to be walking around a lot. Talking a lot. And in the great maze, it may take you quite some time to find the food stands. That’s why we recommend bringing plenty of water and snacks. After all, you don’t want to miss out on an amazing offer because you were too busy thinking about the leftover pizza you have back at home. Most companies know the score, you want to see as many booths as possible in one day. You probably won’t have time for a 10 minute chat. That’s why many businesses (ourselves included) will carefully prepare reading material for you to take away. While you won’t be getting a weighty manual at every stall, it wouldn’t hurt to bring a sturdy, spacious bag along with you. This way you can do your research from the comfort of your own home. There will be plenty of fun events going on throughout the day. Make sure you don’t miss out on any of the excitement by tuning into the online conversations. Most shows will have their own social media profiles covering the day, or even a hashtag for other companies use. It never hurts to do a quick Google before you head out and saving these to your phone. You never know, one booth might be giving away free snacks. Ideal Home Show, London - 20th, 29th March and 1st April. Homebuilding & Renovating Show, Birmingham - 22nd - 25th March. The Property Investor & Homebuyer Show, London - 20th - 21st April. Grand Designs Live, London - 5th May - 13th May. Homebuilding & Renovating Show, London - 21st - 23rd September. Grand Designs Live, Birmingham - 10th - 14th October.